Барааны дугаар 9780194398725. 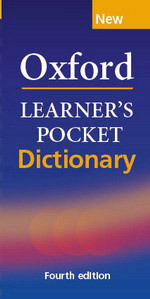 Categories: Dictionaries, OXFORD. Essential information on basic English vocabulary in a popular, slim, pocket-sized book that is easy to carry. Now updated with new words that have entered the language. * Up-to-date vocabulary, reflecting modern usage. * British and American English. * Oxford 3000, the words students need to know clearly marked. * Corpus-based examples show how words are used. * Grammar patterns help with the correct use of prepositions, infinitives, and gerunds. * Help with irregular forms and spellings. * Explains thousands of idioms and phrasal verbs.